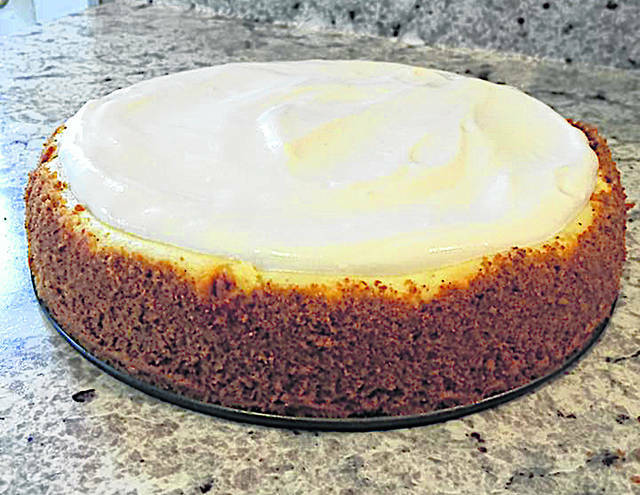 This is a picture of Cindy Boyd’s cheesecake. Hello! It is beginning to look like spring. Flowers are beginning to come up. Yay! I love the warmer weather and the time change. Now it’s time to get cooking. Easter is coming and I have the perfect desert to fix. You can’t go wrong with cheesecake. But for those on low carb — its not for you or me — I am going to make this and eat at least two or three piece and maybe more. How about a diet drink to go with it. Ha ha. In the kitchen with me this week is Cindy Boyd. Everyone that knows Cindy knows that she is a great cook and baker and a wonderful person. I love Cindy. She is always putting her food on Facebook, I have been asking her to share, and she did. Thank you so much Cindy. I am getting so much great feedback on all of the recipes, Keep them coming! 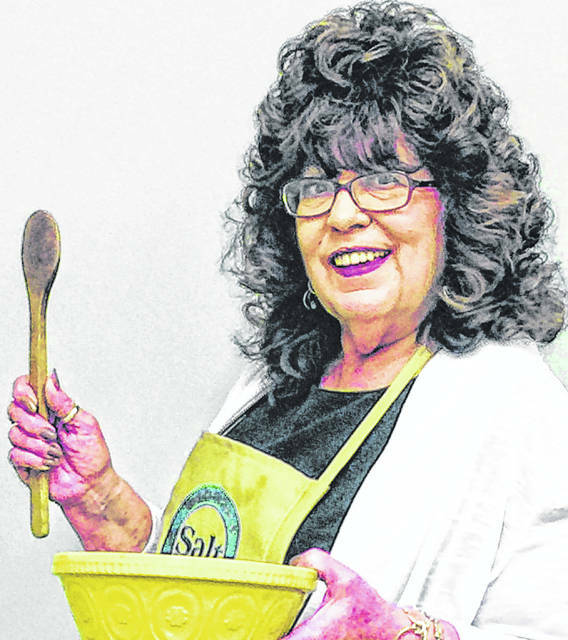 Anyone that has a recipe to share, please drop it off at The Time-Gazette offices at 108 Gov. Trimble Place, Hillsboro, or email me at shughes@timesgazette.com. I am looking forward to hearing from you. 1. In a small bowl, combine the cracker crumbs, sugar and cinnamon; stir in butter. Presss onto the bottom and 2 inches up the sides of a greased nine-inch springform pan. Bake at 350 degrees for five minutes. Reduce heat to 325 degrees. 2. In a large bowl, beat the cream cheese, sugar and vanilla until smooth. Add egg yolks; beat on low just until combined. 3. In a small bowl, beat egg whites until soft peaks form; fold into cream cheese mixture. Pour over crust. 4. Bake for 1 hour or until center is almost set. Cool on a wire rack for 10 minutes. Carefully run a knife around edge of pan to loosen. Coll 1 hour longer. Refrigerate until completely cooled. 5. Combine sour cream, sugar and vanilla. Fold in whipped cream. Spread over cheesecake. Refrigerate overnight. Remove sides of pan.